The Wabasha Suite was created using a 2-color letterpress process. 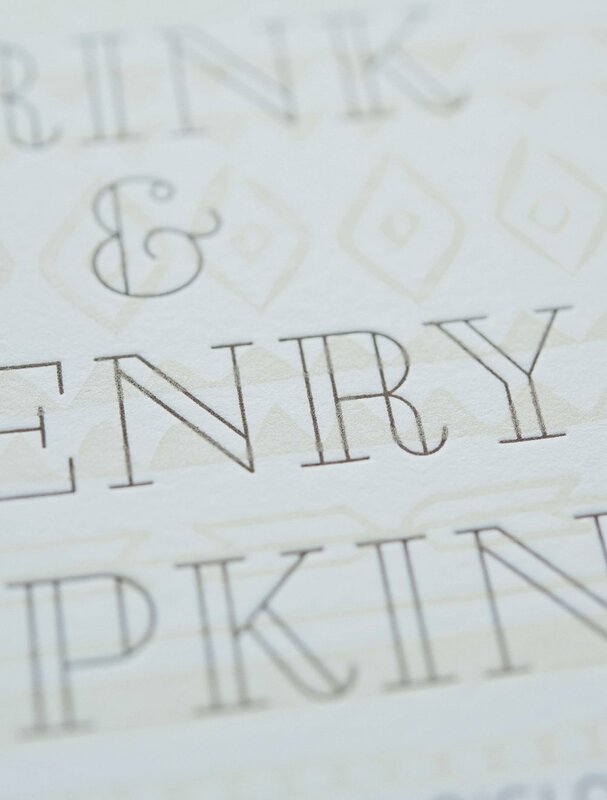 We love the subtle texture of the background design on the invite! The pattern was hand painted and features small icons and details that were important to the couple. We added the text using clean, modern fonts and carried a portion of the background pattern on to the return address printing on envelopes.